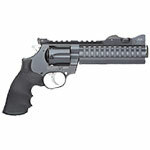 Korth NATIONAL STANDARD SUPER SPORT STX, .357 Mag. - 1x KORTH National Standard Super Sport STX, cal. .357 Mag.